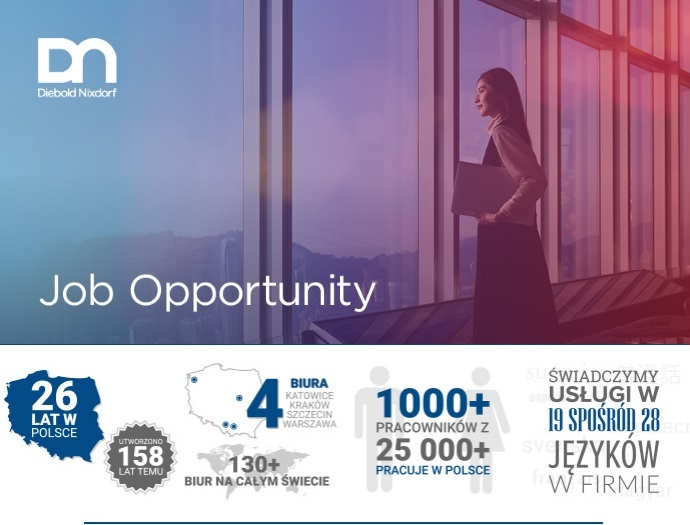 Apply and grow together with us! The Record to Report (RtR) team is a part of the Accounting Process within EMEA Business Services department. The RtR team facilitates end-to-end General Ledger process including: Fixed Assets, Journal entries, Banks Reconciliations; ensuring the accurate and timely production of the financial statements. Experience with SAP as an asset. Self-development and growth within the organizational structure. Diebold Nixdorf BPO Sp. z o. o. with its registered office in Warsaw (02-305) at ul. Aleje Jerozolimskie 142B registered in the Register of Business Entities kept by the District Court for M. St. Warszawy in Warsaw XIII Commercial Division of the National Court Register under KRS number 0000033383 (hereinafter referred to as the “Company”), is the controller of your personal data.